"WebM is a royalty-free audiovisual media file format. I want to keep some YouTube videos in this format and save them for future enjoyment. The question is how to make WebM from YouTube in a fast and trouble-free way. " There are many ways to make WebM from YouTube. You can directly download WebM videos from YouTube if the video is encoded in WebM by nature or convert YouTube video in other formats to WebM. Before we get the solution to make WebM from YouTube, let’s spare some time to learn the difference between WebM and MP4. WebM, a royalty-free alternative to the HTML5 video and the HTML5 audio elements, is sponsored by Google and supported natively on Firefox, Opera, Chrome, and VLC Media Player. WebM containers support VP8 and VP9 video. As a universal video file extension, MP4 is a multimedia container format used to store video and audio. The MP4 container format is patent encumbered, meaning it is not open source. In comparison to WebM, MP4 supports a variety of video coding formats, including HEVC/H.265, H.264, and AVC. WebM is arguably a better standard and can support better quality video. In a word, WebM is less popular but has better video quality than that of MP4. To make WebM from YouTube, two scenarios are involved, one of which is to download WebM from YouTube directly if the video is encoded in WebM by nature, and the other is to convert the downloaded YouTube video to WebM if the video is encoded in formats other than WebM. 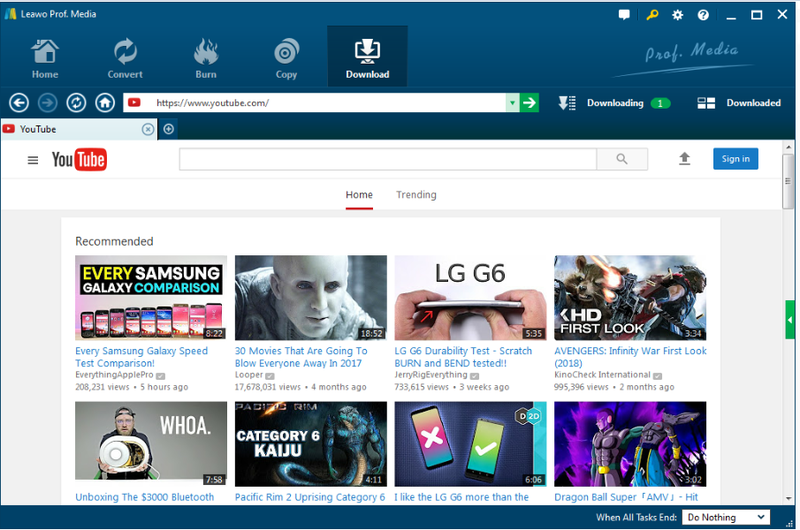 Leawo Video Downloader, is highly recommended here to download videos from Facebook or other media sharing websites such as YouTube, Vimeo, and so on. This downloader supports more than 1000 websites and HD downloading is supported for users to choose 720P or 1080P videos based on their own needs. Here comes a guide to download WebM video from YouTube using Leawo Video Downloader. Step 1: Install this program. Click the button below to install this downloader on your PC. Step 2: Find WebM video on YouTube. Navigate to YouTube through the built-in search engine or directly paste your URL here to direct to the target page. Otherwise, enter the key words in the quick search box to find your WebM video. Step 3: Finish the downloading settings. Click the gear wheel icon on the top right corner to perform downloading settings such as max download tasks, directory to save the downloaded video, etc. You can set YouTube as the default home page here as well. Step 4: Start to download WebM from YouTube. Click the downloading icon on each video to download your target WebM video. Based on your max tasks limit, you can download multiple videos in parallel. Step 5: Check for the progress. View the downloading process through the green progress bar from the Downloading tab. 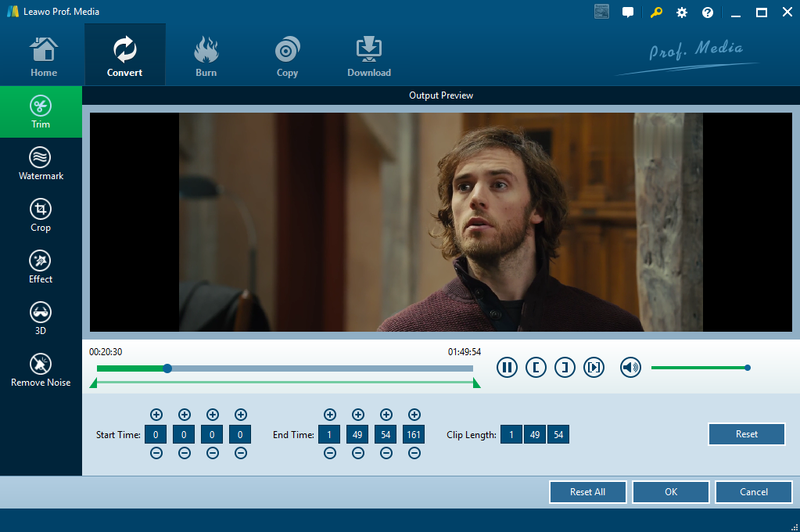 Once a video is downloaded successfully, check for it from the Downloaded tab, where you can choose to play the video within the program built-in player. What if the video is encoded in non-WebM format? No worries. A great WebM YouTube converter is recommended here. 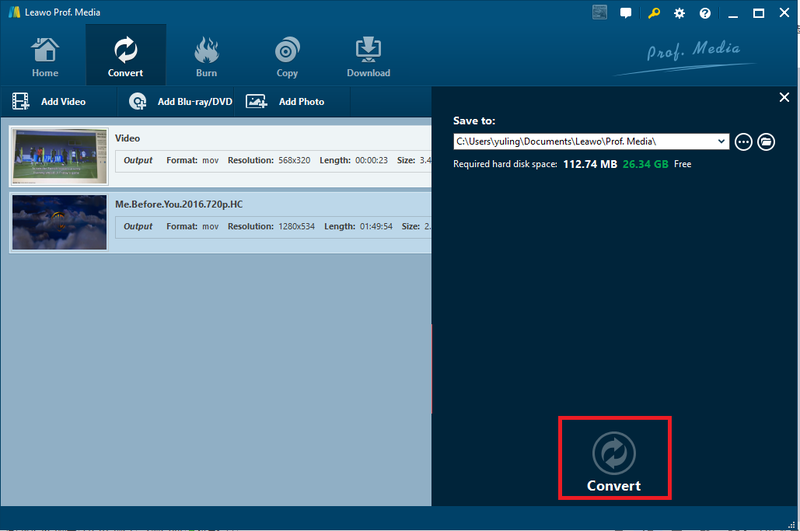 Like Leawo Video Downloader, Leawo Video Converter also comes from the Leawo Prof.Media program suite. 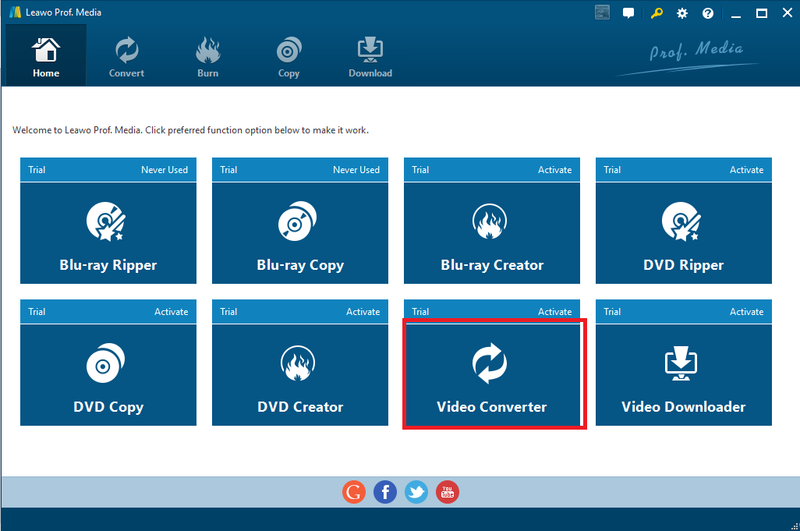 This video converter is professional at converting videos from one format to another. To tell the truth, more than 180 most frequently used video formats are supported, and more to come. It capabilities to preserve 1:1 output quality are impressive, making it stand out from its counterparts in the industry. Users are able to enjoy lossless video/audio after file conversion. With this program, users are free to edit the video before converting it to other formats, for example, trim or crop the video, add watermark, 3D effects, or adjust video/audio effects, like saturation, contrast, brightness and so on. Here comes a guide to show you how to make WebM from YouTube with this program. I suppose you have installed this program on your PC. If so, launch the program. If not, download and install it by clicking the button below. Step 2: Add the downloaded YouTube video in previous section. Simply drag and drop your previously downloaded YouTube video here. Otherwise, click Add Video or Add Video Folder to import them here. Step 3: Change the output format to WebM. Click Change under the format drop-down menu. Choose VP8 Video as it includes WebM in the category. Click the editing icon to edit the video before conversion takes place. Here you are allowed to trim the video length, crop the video size, watermark the video, remove noise from the video, or set specific parameters such as saturation, contrast, and brightness. Do whatever you want by clicking the specif button on the left pane. Step 5: Set a directory to save the converted file. Click the big green button Convert from the tool bar and you will be led to set a directory to save the converted file on the pop-up window. After this is done, click Convert below to start making WebM from YouTube videos. Step 6: Monitor the process to complete. Monitor the process to complete with the help of the green progress bar, telling exactly how much percentage has been completed. Once it is done, click on the folder icon to open the folder where the WebM video is saved.